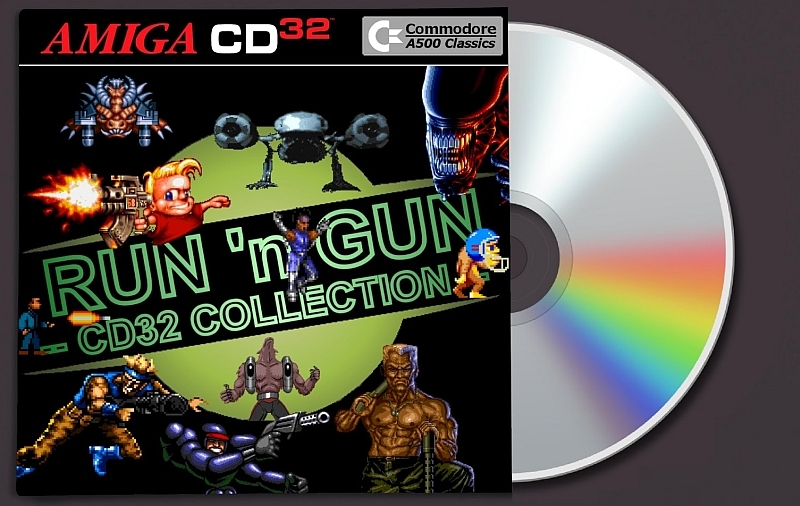 Are you bored today on this wet and bleak Sunday, but have an Amiga CD32 beside you waiting to be played? then I just might have the game(s) for you! This is the ' Run 'n Gun Collection ' ; a new release from Amiga Jay for Amiga CD32 owners that features more than just your average shooter. In fact, this pack has 11 fantastic games that if you've never played before are seriously missing out! Games such as Toki, Assassin S.E, Alien 3, Metal Law, Ruff 'N Tumble, Midnight Resistance, Ork, Wolfchild, Rubicon, The Killing Game Show and Lethal Weapon. What a fantastic list indeed, but in my personal opinion Ruff N Tumble is the best of the lot! First released for the Amiga by Renegade in 1994 and developed by Wunderkind, Ruff N tumble is probably one of the finest action packed platforming Amiga games you'll ever play. Not only does it have some of the best graphics, but the game has 4 worlds to play through each with lots of baddies and tons of firepower! 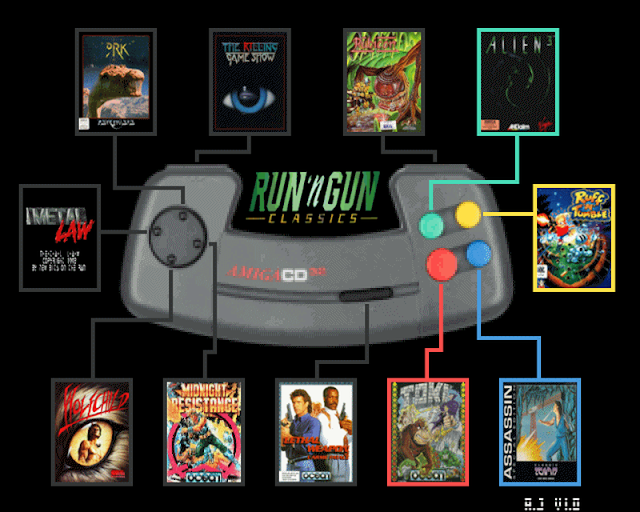 Controls have been enhanced where available with some titles using most of the CD32 buttons, and swapping to use blue to jump where possible, controls as usual for each game are in the readme file.